Sefton CVS is governed by a Board, which comprises Charity Trustees who are also Directors of the Company. The Memorandum and Articles of Association allow for a minimum of 6 and a maximum of 15 to serve as Directors. Trustees are elected at the organisation’s Annual General Meeting in October on a rotational basis to serve a three-year term. This is the principal route of appointments to the board. Co-options to appoint Directors who can bring specific areas of knowledge and expertise to the Board are also undertaken. The Board regularly evaluates its composition to ensure it is representative of the geography and local communities, is diverse and has the required professional expertise to provide strong and effective governance. Elected Members from the three main political parties from Sefton MBC are invited to attend Board meetings in a non-voting capacity. Meetings of the Board are held bi-monthly. Dave was born and educated in Waterloo and Crosby and is a former pupil of Merchant Taylors School. His career took him away from Merseyside where his work in telecommunications saw him undertake managerial roles with international responsibilities until his retirement. He now lives in central Liverpool. Dave is Chairman Royal Albert Dock Liverpool Ltd and a director of The Colonnades Residential Ltd. He is President of the Athenaeum and is active in the voluntary sector being a trustee of the Royal Albert Dock Charitable Foundation. He has been a Board member of CVS since 2004. Simon was born in Bolton, Lancashire and has lived in Crosby for over 30 years. He has held various managerial positions in HSBC bank from 1972 until his retirement in 2009. Simon was Honorary Treasurer of Sefton CVS for 25 years. Liz hails from Birmingham, but has lived in Sefton for the past 30 years. She has worked in Finance with Birmingham City Council, and on moving to Sefton she worked for Nugent Care, both in finance and Service Development. As a JP in Sefton for nearly 20 years Liz, as well as serving on committees, was Chair of the Merseyside Magistrates Association, was on the National Council for Magistrates, and was the sole Magistrate member of the Crown Court Rule Committee. Liz joined the CVS team in 2009, and is now Vice-Chair and the lead member for Safeguarding. For 3 years Liz was a member of the Merseyside Police Authority Standards Committee until its abolition. 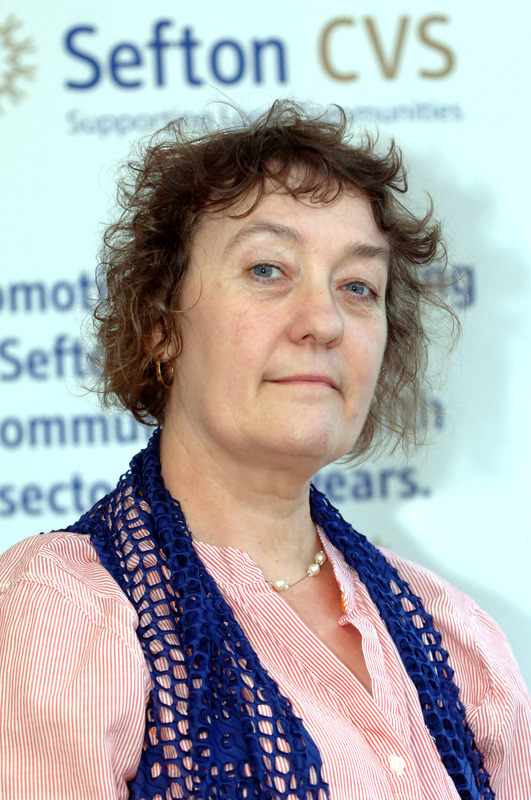 After being a Board Member of the Merseyside Probation Trust, Liz was appointed as Chair in 2011, and continued in that post until the Trust abolition in 2014. Later in 2014 Liz started a successful small business, and after 4 years handed it over to her son. Paul Cummins has been a Trustee of Sefton CVS since 1987 and was Board Chair for 5 years. He has worked extensively in the voluntary sector in Sefton prior to a career in local government with Knowsley MBC in a variety of roles in Social Services, Voluntary Sector Liaison and Community Safety. Paul is a Trustee of Merseyside 3tc, Sefton for Africa, Waterloo Community Association and M Path European Mental Health Trust. For the past twenty four years he has been Chair of Governors at (William Gladstone School), replaced by the new Rimrose Hope C of E School, Seaforth. He is a Non Executive Director of NHS Sefton. 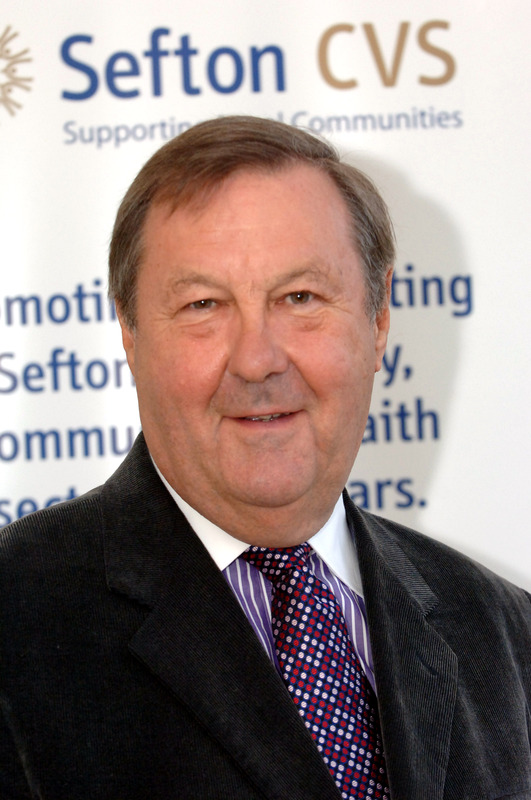 Paul is an elected member of Sefton Council and was the Worshipful Mayor of Sefton for the Municipal Year 2011-12. David McGregor spent 12 years in the Royal Air Force and then studied electronics leading him to running the Advanced Electronics and Computer Aided Design Laboratories at Kingston University. He also spent 10 years as the I.T. manager for the Queen Elizabeth’s Foundation for Disabled People in Leatherhead. David is a fellow of the Institution of Engineering and Technology, a member of the British Computer Society and the Institute for the Management of Information Systems. 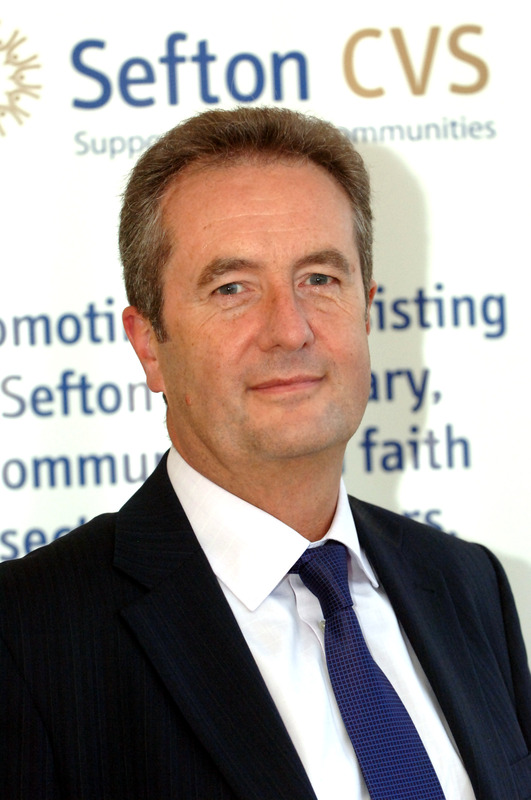 David is a Southport resident and joined the Board in 2009. Dr Mike Homfray lives in Waterloo and works in higher education. He has a PhD from the University of Liverpool, and has an active interest in social policy which he uses in some of the roles he carries out for the CVS. 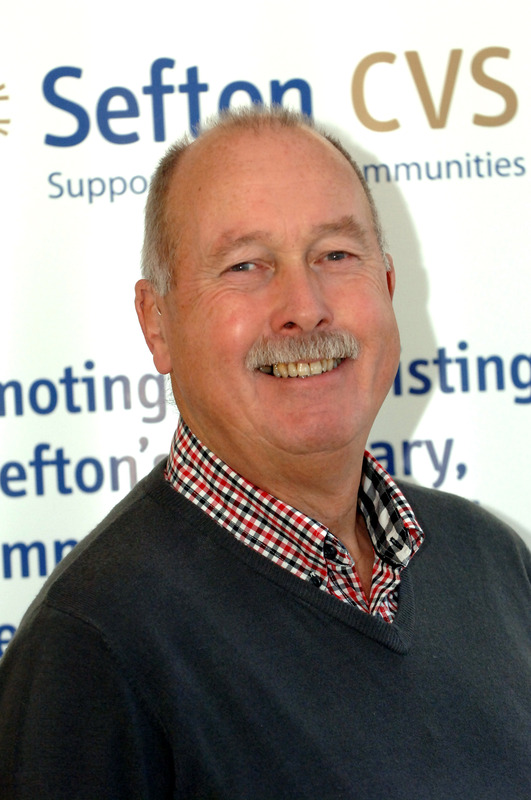 As co-chair of EMBRACE, the Sefton LGB Network, he represents the VCF sector on the Equalities partnership, of which he is vice-chair, and also sits on the Council’s Consultation panel and the Sefton Stronger Communities group. Dr Homfray is also the Board of Trustee’s Equality Champion. Mark is born and bred in Sefton and spent 34 years working with a leading high street bank gaining a broad spectrum of expertise in the Corporate and SME Commercial market. Now self-employed he is still involved with the business community helping clients raise funds for a variety of projects. Paulette has been involved with the community and voluntary sectors since 1983: working for Community and the Public Transport sectors, as well as a Volunteer Director for: Merseyside Network for Change and Waterloo Community Association. Paulette has extensive experience working with diverse communities, developing access to broadcasting for a wide range of people on Merseyside, Youth Offending Panels and managing a community building. Paulette has worked in transport and the environment for over 25 years, in both community and public sectors covering a wide range of issues including: Community regeneration, outreach and engagement, community and public transport, access and equality issues and European/ National projects. Paulette has served as a councillor for Sefton Council Ford Ward since 2012 and is deeply committed to engaging with residents groups to ensure they understand how democracy and the local government system function. Community action is a key corner stone of Paulette’s commitment to the voluntary and community sectors so local people can challenge, effectively engage, influence change and manage local services. Val was born in Liverpool and started working life at Broadgreen hospital. Val worked in community development in Skemersdale for five years, before working in London in social development during the 1970s. When Val moved back to Merseyside, she began working at Liverpool CVS firstly in Communications and then with responsibly for the Community Organisations Committee. From there, Val worked for Common Purpose, helping to establish the first programme in Liverpool. Val then joined Cooperative Development Services project team and became the Community Initiatives Manager, working on the development of new projects and in particular tenant involvement in design and management, including projects with a number of local authorities. Val retired from CDS after 12 years and took a two year break. She then went on help found housing initiatives where she worked for 12 years; 9 years as the Chief Executive. Val has been a Board member of The Plaza Community Cinema for 13 years, and was a founding member of Sefton Headway and is also a Sefton CVS representative on the Healthwatch Sefton Board of Directors. Val’s interests include boating, walking, gardening, spending time with family, grandchildren and friends. Val also has a keen interest in environmental and social issues. Brian was born in Liverpool and has lived in Crosby for 29 years. He is a qualified management accountant having gained a wide range of financial expertise during his 30 years working in the public sector most notably in the NHS, Prison Service and the Home Office. Now retired he is keen to offer advice and guidance as a trustee of Sefton CVS an organisation that successfully supports local communities. Pete Spiers lives in Bootle and is the Archdeacon of Knowsley and Sefton part of the Church of England Diocese of Liverpool. He is responsible for the appointment of clergy in these 2 boroughs and oversees the administration of parishes and church buildings. The Diocese’s aspiration is to become a bigger church making a bigger difference in their communities. He was a founder member of the Browside Credit Union in Everton in 1990 and has been involved in the VCF sector ever since. Before becoming Archdeacon, he was vicar at St Luke’s Crosby for 10 years and was chair of A Better Crosby and heavily involved in the Crosby Investment strategy seeking to regenerate the village. 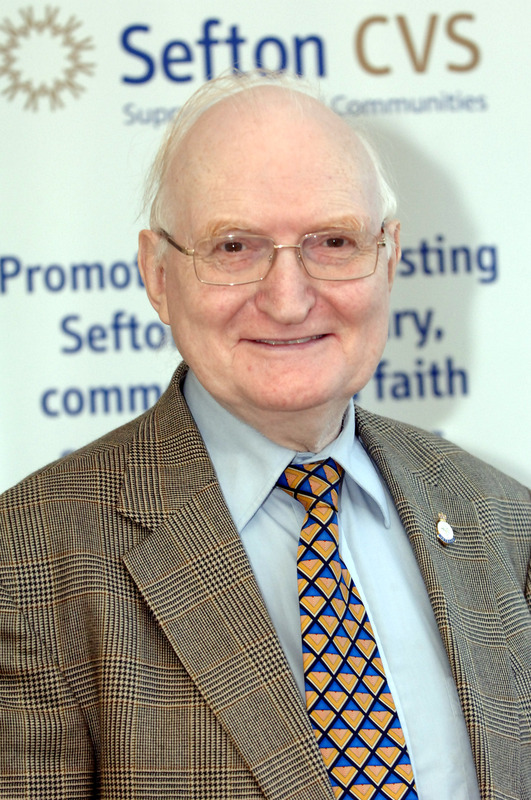 He is currently chair of Sefton faith forum which draws people from different denominations and is open to those of other faiths as well. He is also a member of the New Realities steering group and sits on the Fairness and Social Justice Advisory Board (FASJAB) for the Liverpool City Region Combined Authority.